So I was thinking … about miracles. And, I think we generally misunderstand what they are. My perception is that people use the word miracle to explain the inexplicable. Or, to help them express the magnitude of amazement felt about an extraordinary event. Or to define something they fail to understand. I know the blue planet and ball of fire are fascinating and beyond my ability to explain but I don’t see them as miracles. The moon that moves the sea is only one aspect of the magnificent experience in this life. And, there is so much more. But we miss so much of the amazing stuff. Perhaps it is our own limiting beliefs that cause us to miss the mind-blowing universally amazing possibilities for our lives. 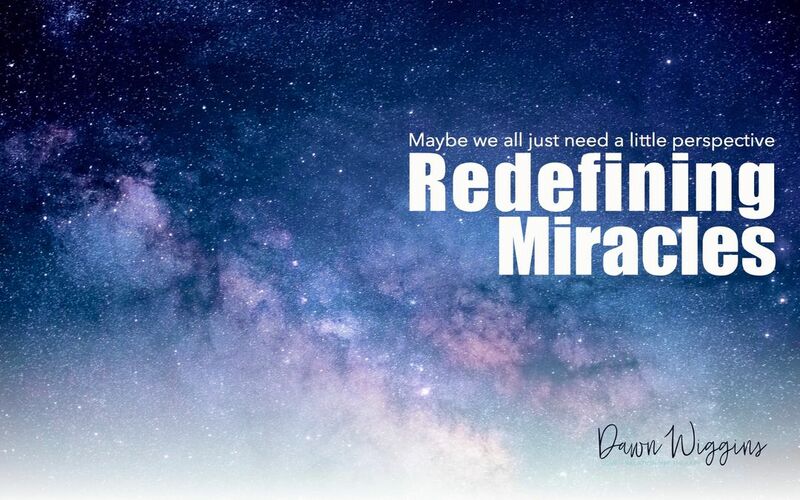 What if you don’t need a miracle, but instead need a change in your perspective? We wander around in an ego induced trance focusing on what is happening on the news and FORGET to SEE the universe for what it is. A beautiful, intricately woven, spectacular, ever-expanding expression of life, death, and transformation. You and your story are part of that universe. If you focus on the suffering and obsess over what terrible thing is coming next you will feel worse. Or, you can anticipate the same beauty in your personal life that we see in our universe. Which version of life will you choose today?